High blood pressure remedies and "cures" focus on things outside the doctor’s office that you can do to reduce your blood pressure. Natural lifestyle changes are among the remedies from which anyone can benefit. Doctors believe that those who have a lower blood pressure are less likely to face heart attacks, strokes and other complications. Even if your doctor has not prescribed medications for you, reducing your blood pressure is one of the best ways to improve your overall health. Supplements: There are several supplements you can take that have shown to be effective at reducing high blood pressure. This includes CoQ10, garlic, folic acid, fish oil and hawthorn. In addition, improving the amount of calcium, magnesium and potassium your body takes in will help. Diet: To lower high blood pressure, focus on reducing sodium intake to under 2400 mg per day. Eat more fruits and vegetables and consume lower fat dairy foods, beans and nuts. 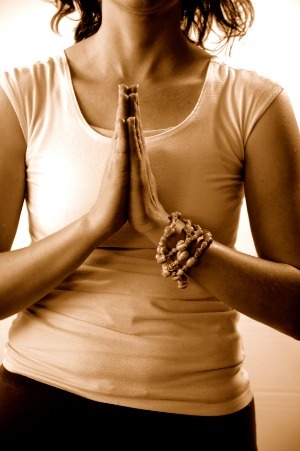 Practice Yoga: Yoga has been shown to be one of the best ways to relax the body internally and emotionally. Some studies suggest yoga can safely reduce blood pressure quickly. Autogenic Training: This method reduces stress levels and increases relaxation. It has been shown to improve high blood pressure by helping you to control your breathing, heart rate and body temperature. Remove Problems: In addition, focus on removing some of the things known to cause high blood pressure. Herbs like Asian ginseng, licorice, ephedra and rosemary essential oil have been known to increase blood pressure. Smoking, drinking alcohol regularly and eating foods high in saturated fat are believed to increase high blood pressure, too. Although you may not want to do so, it may be necessary to take medications to improve your high blood pressure numbers. However, you should ask your doctor if any of the above treatments that are all natural can also be used to reduce blood pressure. As long as there is no interaction between your treatment and your medication, you should be able to use the natural remedy as well. When you take the time to focus on your health by making the changes listed above, your blood pressure can go down. Focus on relaxation and on reducing stress levels in your life. Doing that and using these high blood pressure remedies can safely help you to get back to being healthy. Return to "High Blood Pressure Cures" from "High Blood Pressure Remedies"